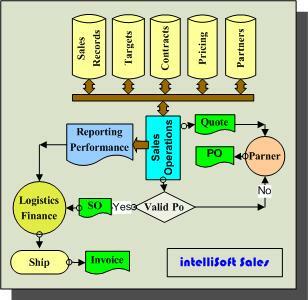 IntelliSoft Sales is a full Sales Process Automation System that helps sales persons and managers, monitoring their goals and their customers performance. Besides providing automation of the sales process, the system offers powerful tools to manage all aspects related to the process such as Contacts, Customers Contracts, Opportunities, Pricing, Customer Orders validation and sales activities, making the application an efficient knowledge management. The Sales Quote is the first document generated in the sales process. Details of prices, terms, taxes, quotations and other calculations issued to customers can be entered and saved in a Sales Quote and later converted to a Sales Order when the customer is committed to buy the goods. Relevant notes can be included in the Sales Quote. 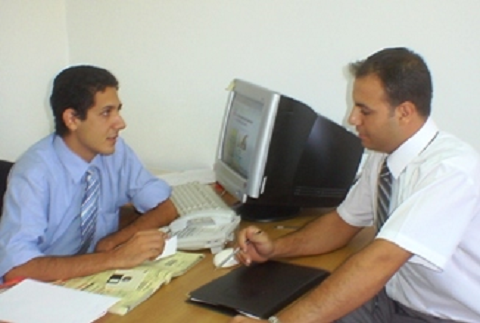 A Sales Quote helps the sales department follow up with customers or customer prospects on the various Quotes issued. 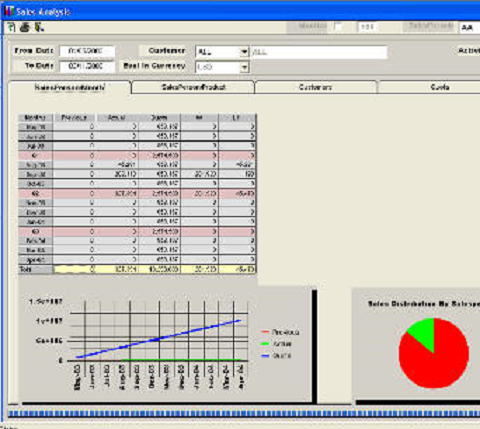 The information in the Sales Quote flows into the Sales Order and from the Sales Order into the invoice. Show performance on monthly basis and over five years. The overall benefits of intelliSoft Sales are apparent immediately after installation. 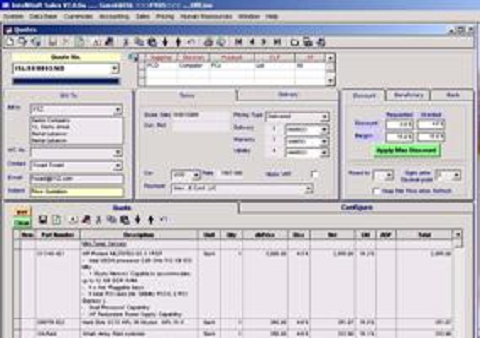 Your sales department improves operations by replacing manual, paper-based method of record-keeping with an efficient computer-based system.